Massive D-Day display coming to World War Brick Hartford! The massive D-Day Diorama built by the Brickmania Team will be on display at World War Brick Hartford. The display measures an incredible 25 feet long and is made up from several hundred thousand LEGO bricks and hundreds of custom mini figures. Public Exhibition Tickets Available for Saturday and Sunday, June 11th and 12th. Avoid the lines, Online Pre-order tickets allow you early access to WWB at 9:30 AM. World War Brick – Fun at Panels. Here are the finished images from Lando’s Photographing Your MOC panel at World War Brick Anaheim 2016. Last Chance for WWB Anaheim Weekend Passes! You heard right! You have one more chance to get discounted World War Brick Anaheim Weekend Passes. Only a few tickets left! There is one last week of discounted tickets before World War Brick Anaheim. Still enough time to get a Weekend Pass and save on the ticket price. Use Coupon Code: LASTCHANCE to get $25 off a weekend pass to World War Brick Anaheim. Ready to commit to a Weekend Pass? Weekend Pass holders have chances to win epic prizes & swag, and each weekend pass holder receives a custom WWB exclusive kit. 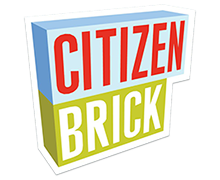 Come and make new friends who love the same things you do, at our awesome brick-centric events including: Micro tank battles, Lego Chess tournament, and other games. As a weekend pass holder you will get first crack at event exclusive merchandise, and be able to attend workshops by industry professionals. 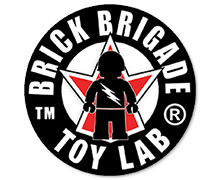 Ever wanted to meet the Brickmania or BrickArms and crew? Well you can at WWB, even Dan Siskind and Will Chapman! The coupon code is valid now through Sunday February 7th, so don’t delay! Use Coupon Code: LASTCHANCE at checkout to get $25 off a weekend pass to WWB: Anaheim.